Looking at Georges de La Tour’s work reminds me that, for the vast majority of the history of human civilisation, nightfall has been followed by the lighting of lamps and candles, and by the contemplation of fire. 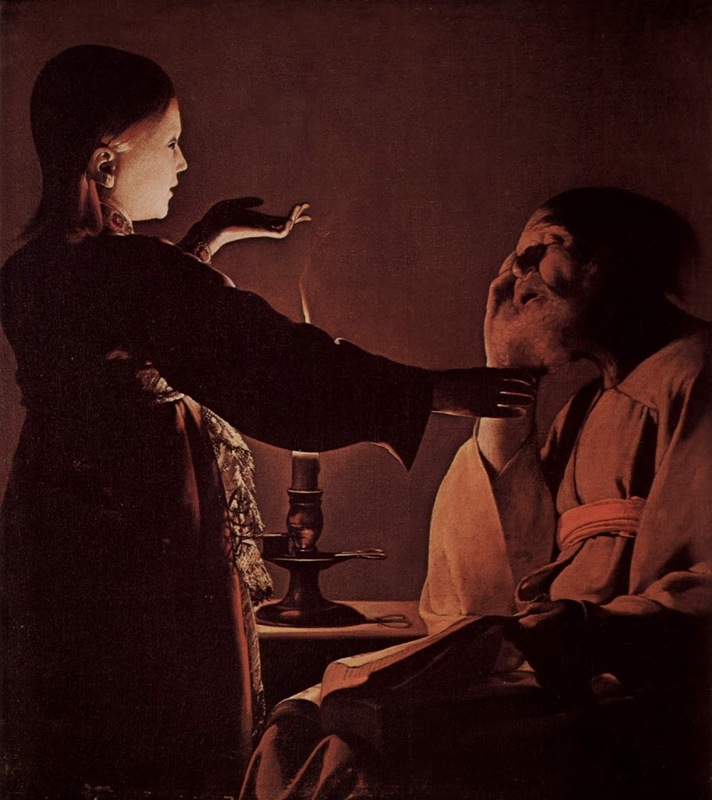 De La Tour was a master of chiaroscuro, the dramatic play of deep shadow and bright light, the flame either bare or hidden behind a hand. But he doesn’t allow the light merely to set the stage. In his paintings, the flame is a central character and the focus of our gaze. 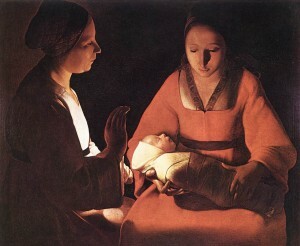 Many of his paintings are ostensibly religious in subject matter. 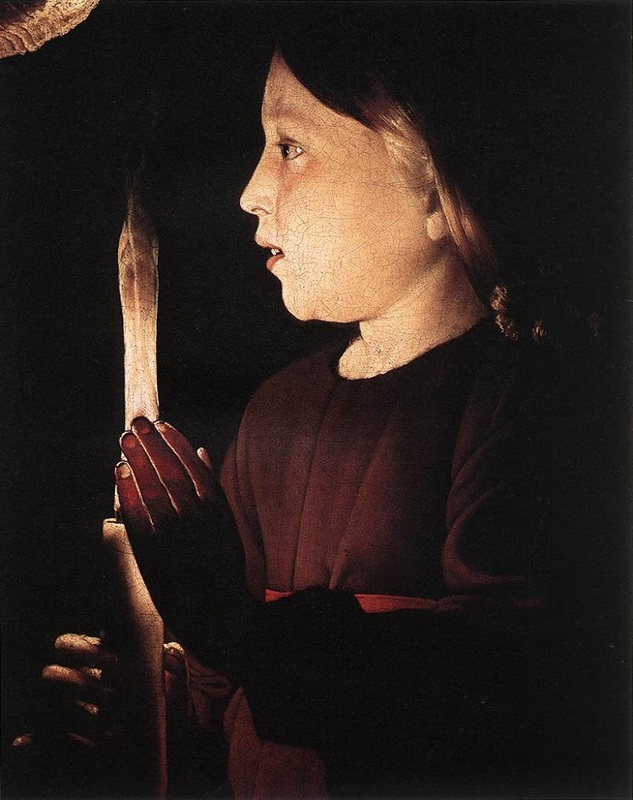 Some include children carrying lamps and candles, their skin an unblemished mirror for the warm light. I think de La Tour enjoyed this partnership of flame and youth, and the tenderness of forms softened by wavering, living energy. In a few days I will return to Africa, accompanied by my three children and the man I met there. All sorts of things swirl around in my mind when I think about the two years I spent working as a teacher in rural Zimbabwe. Far too many to express here. And since the day that my husband and I decided to return for a long holiday, to show our children the place we fell in love with (and the place we fell in love), I have been beset with longing and anxiety in almost equal measure. One cannot step twice in the same river, as we have all been told. I know that it will have changed. Zimbabwe has been through some bad times since I left in 1994. Equally, the advent of the mobile phone has transformed so much of interaction throughout Africa, giving more power to the producers traders and growers, and of course, there has been a massive increase of globalisation through the internet. However, the great Zambezi River will still be there, and we will see it flow and thunder. We will, I hope, hear women singing and clapping in church, accompanied by the syncopated drumming that makes everyone dance. 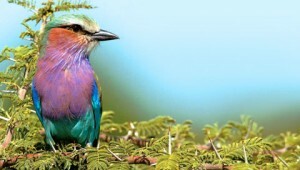 And we do very much want to see elephant, giraffe and the beautiful Lilac Breasted Roller once again. But one of the things I am most looking forward to is the fire light and candle light. Night falls quickly in Southern Africa, usually at about 6pm. Then the sounds change, the stars are revealed and the matches are struck. At the mission where I lived in the Zambezi Valley, the generator would go off at 9pm and, from then on, we did everything by candlelight. Of course most Africans do not live with a generator, and so candles and lamps are the norm. Children and flame – both are fascinating, quick and volatile. I am looking forward to many nights in their company as we camp our way from South Africa to Zimbabwe, under the distant fires of the stars. To finish, here is an old poem, written when the children were very small, during a power cut. their gale of dreams, they lie still, just breathing. Joined, for once, in the earth’s diurnal pace. and kindle radiance in reflection and face. The world is turning from and to the light. While I sit with these candles, I do not fear the night.